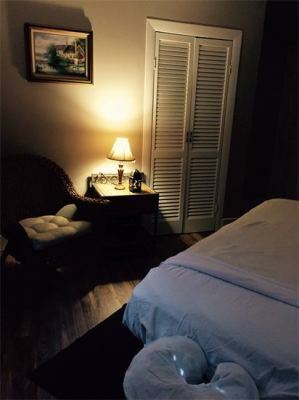 Handicap accessible on first floor but must reserve room when scheduling your massage. Looking for work. We are hiring. ​If you don't want a full body massage or are limited on time, this is a great service. Refresh with this concentrated 30 minute therapeutic massage. Your therapist will work on a specific area of tension. For many people this is the shoulders, neck and upper back. Traditional massage techniques are enhanced with the healing power of heat. Tension melts away as warm lava stones are used over the entire body, radiating deep into tight muscles. You will be immersed into a deep state of relaxation. This service is beneficial for those with chronic muscle tension and pain. Therapeutic massage focuses on specific problems areas using deep pressure accomodated to your level of comfort. Myofascial release focuses on reducing pain by easing the tension and tightness in the trigger points. It’s not always easy to understand what trigger point is responsible for the pain. Localizing pain to a specific trigger point is very difficult. For that reason, myofascial release is often used over a broad area of muscle and tissue rather than at single points. Most myofascial release treatments take place during a massage therapy session. Some chiropractors and traditional medical practitioners may also offer it. Your therapist will gently massage the myofascia and feel for stiff or tightened areas. Normal myofascia should feel pliable and elastic. The therapist will begin massaging and stretching the areas that feel rigid with light manual pressure. The therapist then aids the tissue and supportive sheath in releasing pressure and tightness. The process is repeated multiple times on the same trigger point and on other trigger points until the therapist feels the tension is fully released. Follow this link for complete article. This massage reduces muscle pain and joint soreness, increasing flexibility and speeding recovery from overworked muscles. Improve your athletic performance and reduce the risk of injury with a combination of deep tissue massage, stretching and compression techniques.